"Mum, can you bake me some honey cookies for me?" said my honey-loving son. I wonder why he made such a request to me out of blue and so I asked "Why honey cookies? "I saw my friend eating honey cookies for lunch and I want some too." my son replied. "What kind of honey cookies is your friend eating?" I asked because the keen me is always trying to replicate or bake the type of honey cookies that my son would like the most. "I don't know." my son shrugged his shoulders. "Maybe something that is round with honey inside." Ok... Look like someone is not too fussy ... but I am. Based my son's very brief description, I went on to explore a few honey cookies recipes and found two really good and honey-loaded ones. One yields crispy type of honey cookies wheres the other one yields the rather chewy kind. 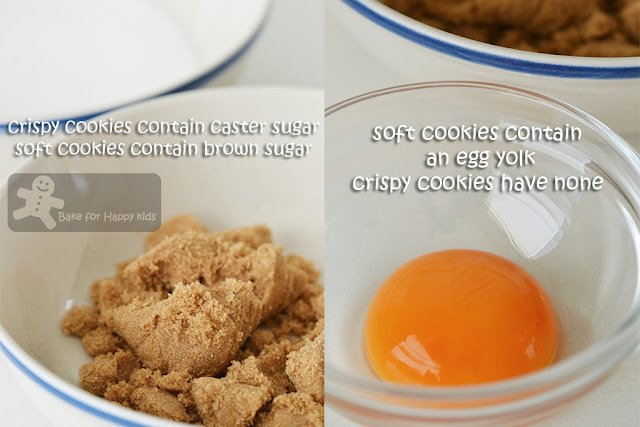 In actual fact, if you look at both recipes very closely, they are exactly the same but interestingly, the differences in 1) the sugar used 2) the addition of egg yolk and 3) the baking duration can alter the cookie textures pretty dramatically. Depending how you baked them, they can either be crispy or chewy. Amazing that 1) the different sugar used, 2) the addition of egg yolk and 3) the baking duration can alter two types of honey cookies that can taste very differently. The method to bake these cookies are exactly the same and this is how I baked the crispy ones. Then allow the dough to rest in a fridge for at least 12 hrs, preferably overnight until firm. 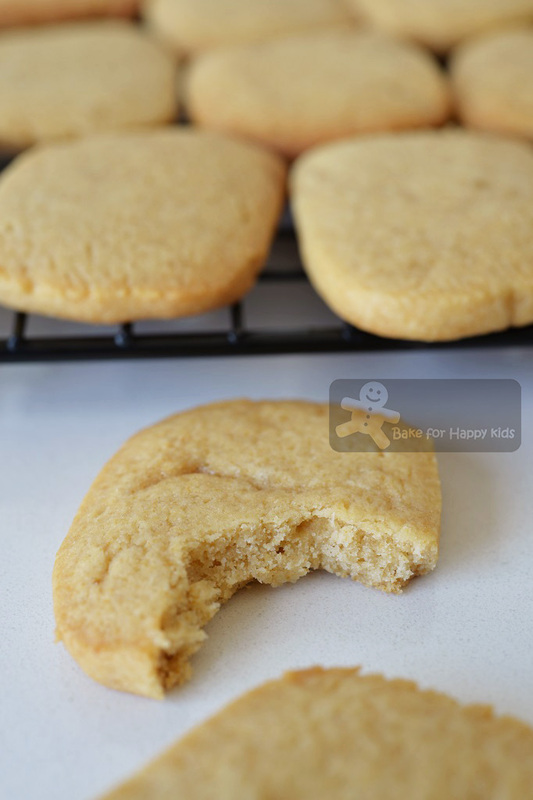 The method to bake the chewy honey cookies is the same as the crispy ones except that caster sugar is replaced with brown sugar and egg yolk is added into the butter-sugar mixture. Baking the chewy cookies... with a slightly shorter baking time. Can you spot any differences? I can. These cookies look obviously different especially when they are completely cooled. 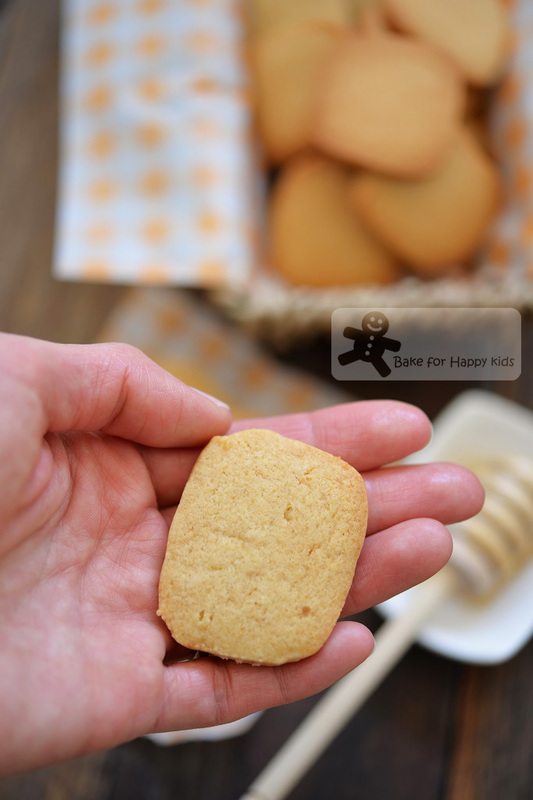 Crispy honey cookies with smoother surface. Chewy honey cookies with a slightly puffier look. Crunch! See that the crumbs of the crispy cookies are rather dry and compact. Munch! See that the crumbs of the chewy cookies are moister and a little gummy texture. Despite the differences, I have to say both types of cookies are equally delicious in their own way as both are all fully loaded with honey. As a result, these very-honey cookies are sweet but to me, the amount of honey-sweetness is definitely not excessive and I would say that they are perfectly satisfying. Being not fussy with honey cookies, my son said that he likes them both. Interestingly, the fussy me like them both too! 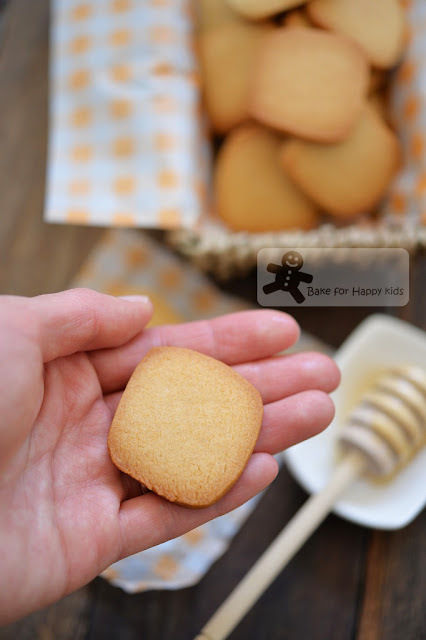 Here are my beloved honey cookies recipes that I have tried, tested and optimised from many recipes and hope that you will like them too. Combine all purpose flour, baking powder, baking soda and salt in a large mixing bowl. Set aside. 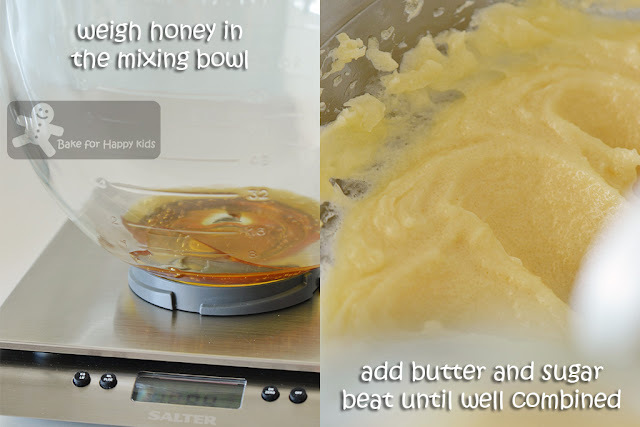 Using an electric mixer with medium high speed, beat honey, sugar and butter until fluffy and combined. If you are baking the chewy cookies, beat in egg yolk until combined. 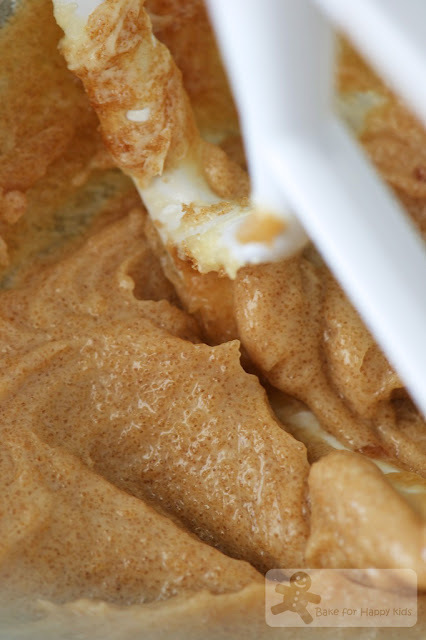 Sift flour mixture into the butter mixture and use a spatula to mix until all of the dry ingredients are moistened. Using your hands, combine all in the bowl to form a dough and knead until the surface of the dough is smooth. 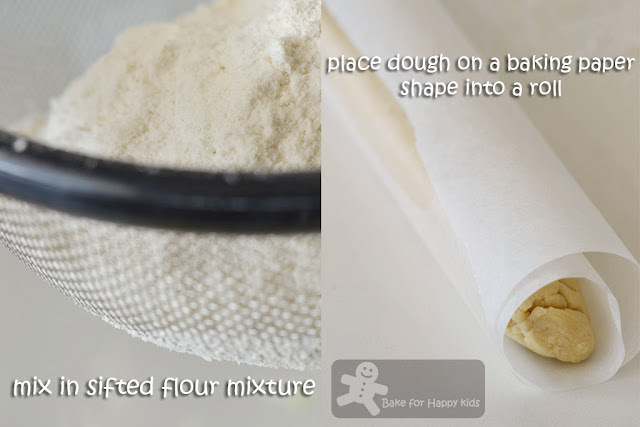 Transfer the dough on a large piece of baking paper and roll it into a tight cylinder with about 4 cm in diameter. Smoothen the sides of the cylinder to either to form a cross section square or rectangle or circle or any shape accordingly to what you like and twist the edges of the paper to enclose. Allow dough to rest in a fridge for at least 12 hrs, preferably overnight until firm. On the next day, preheat oven to 400°F / 200°C and line baking tray with baking paper. Remove dough from the fridge and slice by cross section to yield about about 1 cm or 3/8-inch thick. Place the cut dough about 2 cm or 1-inch apart from each other on the prepared baking tray. Bake for about 6-8 mins or until set in the center, 8 mins for the crispy cookies and 6-7 mins for the chewy cookies. 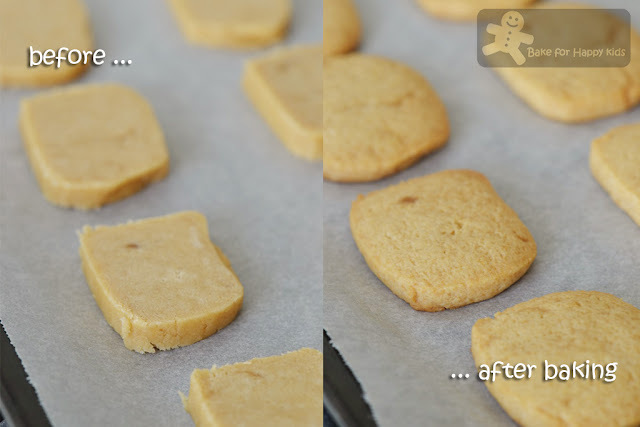 IMPORTANT: Please do not over-bake the crispy cookies as they will be too hard to chew! Plus please note that over-baking can make the chewy cookies less chewy but it's still ok. Although the cookies will be less chewy, they can be delicious too... as their edges will be crispier with lesser chewy center. 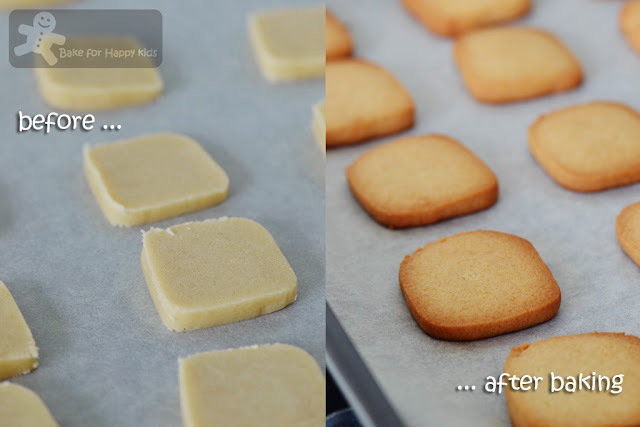 If you are baking two trays at one go, please remember to swap and rotate the position of the tray halfway through the baking so that that the surfaces of the cookies are baked evenly. Remove from the oven and allow to cool on the baking tray for about 10 mins. Transfer onto a wire rack and allow the cookies to cool completely. 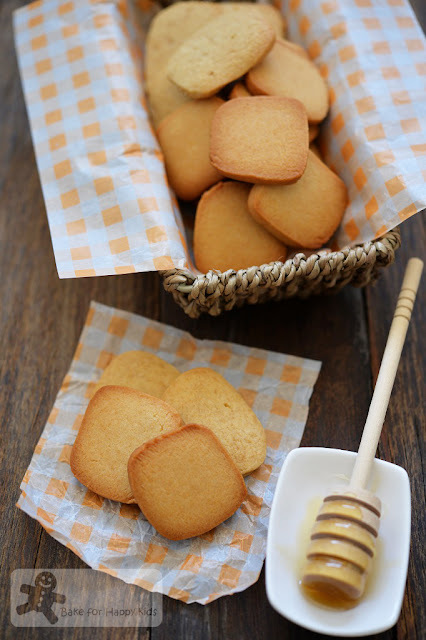 I guess you need a lot of honey to get that honey "smell" in your cookies..I love your cookies.. Looks like butter cookies, with honey taste, yummss.. I like honey, but it's very pricey, I mean the good ones.. I still prefer to drink it like that, haha, less hassle.. I love these honey cookies. I am so hungry by just reading this post. I think I will like the one without egg yolk. Oh dear Zoe, I want a huge tin of these lovely honeyed chewy delicious pretty tasty yummy cookies! YUMYUMYUM! Fast to bake and a taste to remember. Thanks for the inspiration Zoe. Your both cookies look good enough to eat. I guess depending on your mood you could crunch or simply munch! 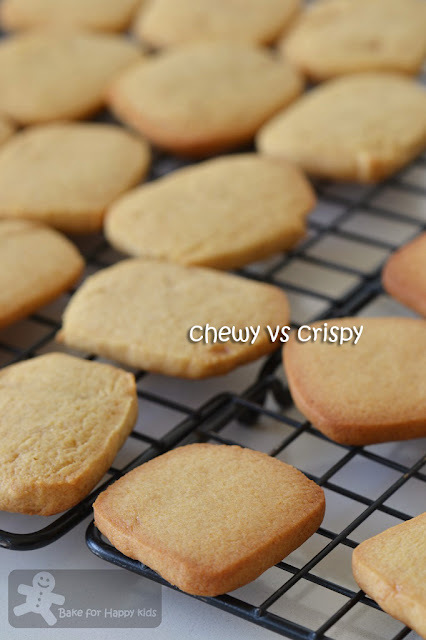 Crispy or chewy ... both look yummy to me. Think I'll like both and dunk with a glass of cold milk. Love your experimenting with different kinds of cookies! I'm not sure which I would prefer either. Maybe the crunchy? They both sound amazing! These sounds and look amazing! I love honey baked products! I really would love to try this recipe, I'm all up for the chewy recipe! 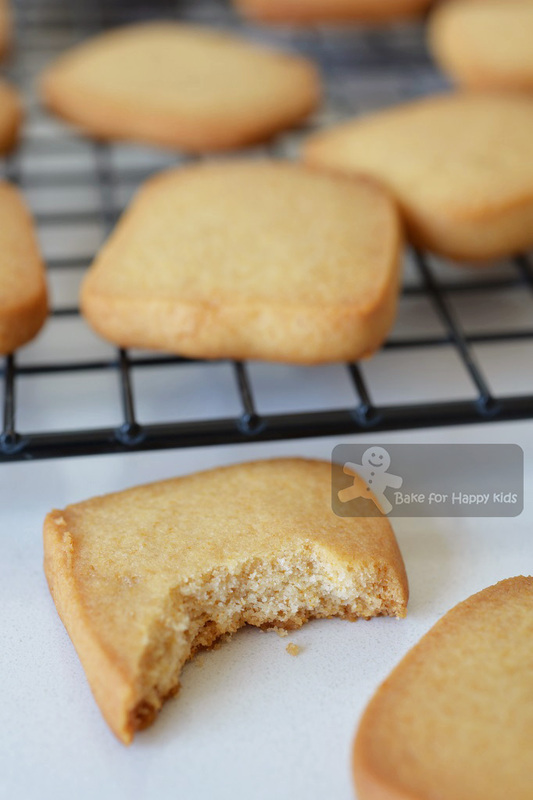 These yummy honey cookies look like little shortbread cookies, love it either way...crispy, or chewy, so very nice to go with tea, and coffee! It looks very delicious. I will try it soon.